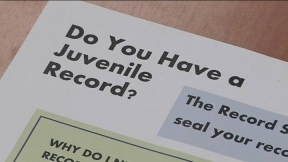 “While many believe juvenile records are kept confidential, they are not,” the report states. “The erosion of record confidentiality protections over the past 40 years calls into question whether the word confidential can be used in good faith anymore. Through broad lawful record sharing and the widespread incidence of unlawful sharing, the potential for accessing and sharing juvenile information has never been greater.” In Illinois, tens of thousands of juveniles are arrested each year, and the largest majority of those arrests by far are for non-violent offenses. Over the last decade, only three of every 1,000 arrests – less than one-third of one percent of juvenile arrests – were expunged in Illinois, the study determined. The report recommends enhancement of the confidentiality of juvenile records and increased access to juvenile expungement consistent with recommendations of the American Bar Association.